It'll be cool to get a few of these to build a super commando unit as Fett was originally conceived. 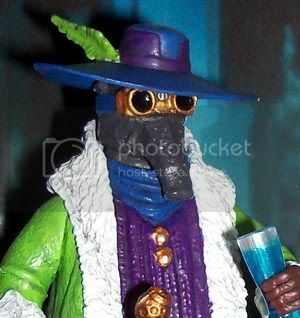 Forgive me for being late to the party, but is this the same figure we got a few years ago - just now on a vinty card? I think that's still TBD since they just showed the card, but hopefully they will upgrade it with something new. The card is pretty spiffy if nothing else. Someone correct me if I'm wrong, but I don't think Hasbro revealed the figure. Based on the pictures I've seen, a repacked McQuarrie Fett would be inaccurate. A repainted Evo/VOTC Boba would be the best option. 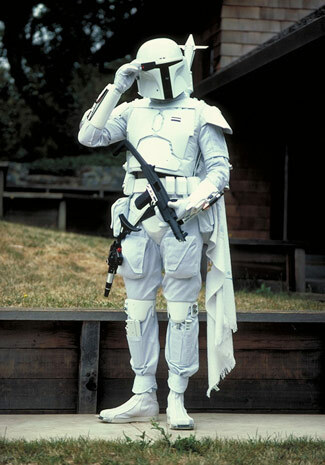 However, I can't help but think that we'll see the Vintage remake rocket-firing Boba painted white. No...McQ Fett, while similar is subtle enough different from the prototype costume...time to go to the Kubricks! This would be accurate...a white Evo Fett is probably what we are getting. It would be neat if they included a helmet with Cpt Rex style horns and a Poncho though too. For this figure, they got all excited about "beach towel". 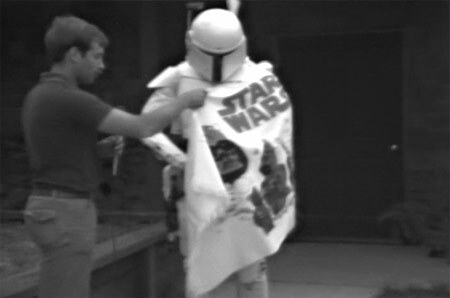 Apparently (if someone knows proto-fett history, please chime in), when they did the 1978 screen test with the white Fett suit, he had a star wars beach towel hanging on his belt. Hasbro is trying to pick a sg material to replicate that look. 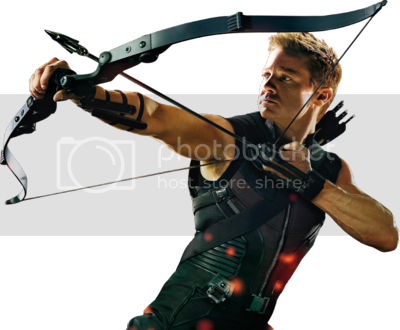 Thanks for that pic - yeah, that's what Hasbro was talking about. The goal is to find a sg material to make a mini-towel and try to hang it on the belt to replicate that look in the second picture (which is obviously the pic they used for the cardback). They weren't sure if they could pull it off yet, but they were going to try. And also, just to confirm what Scott said - this is NOT supposed to be McQ Fett on a vintage card, it will be a Black and White regular movie armor Fett (probably the Evolutions sculpt like Greg/Scott speculated). It'd be cool if the eventual soft goods "towel" on the figure includes the 'Star Wars' logo. Hopefully Hasbro also sculpts 2 all-new guns (as seen in the picture), as opposed to just repacking the weapons seen in the films. The smaller one came with the McFett's and is in some of the Legends weapon packs I believe. Though the larger one looks a lot like the same gun just a little larger. Carded and loose images at Sandtroopers. 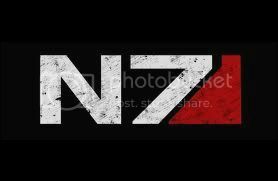 Looks like they got the beach towel graphic worked in but missed the grappling rocket for the jetpack. Oh well. I love this figure! Much better than the stupid Rocket Firing Fett. When can we mail away for this? I have a lot of UPC's ready to be sent away. I think I am going to try what many others did over at scum and mail one big check and get a case of these. Guys received whole cases that ensured minty product. I'm definitely putting together a Mandalorian attack squad. Love that they got the beach towel graphic. I'm not surprised about the grappling hook since it's basically an evolutions Fett with a different color scheme. Looks really neat to me... I know some were disappointed with this, but to me it's even cooler than last years. Maybe I'm just happy it's something "realistic" styled and somewhat new? Either way, I like it.